First of all let’s answer the obvious question – what in the world is high fructose corn syrup (HFCS). I won’t bore you with the scientific explanation and the molecular breakdown, basically it is a sweetener made from corn. It is also known as fructose/glucose, isoglucose, and glucose-fructose syrup, (glucose is natural sugar). The primary difference between HFCS and cane sugar (regular sugar) is that one occurs in nature (sugar) while the other is a chemical compound (HFCS). The sugar substitute is used in almost every packaged good unless otherwise stated. The popularity of HFCS came about as a result of the United States high tariffs (taxes) on cane sugar. The food industry created this chemical compound as a substitute. It is extracted from corn silk but the “how” is a highly proprietary well-kept secret by the industry. You need to ask yourself “why?”. Obesity rates have shot up with the increased use of HFCS. Because it is so cheap to produce it’s easy to put in just about everything soft drinks, cereal, bread, etc., that the sheer volume of sugar consumed has increased wildly. Whether it’s cane sugar or “lab” sugar, the increase of consumption leads to obesity. A 2004 study in the American Journal of Clinical Nutrition shows that the increase use of HFCS by the food industry has kept pace with the obesity rate. Cutting out processed foods that include HFCS simply cuts down on the amount of sugar you’re ingesting. Sugar may be sugar at a molecular level the body treats them as different. One very important difference is that fructose does not stimulate insulin secretion. 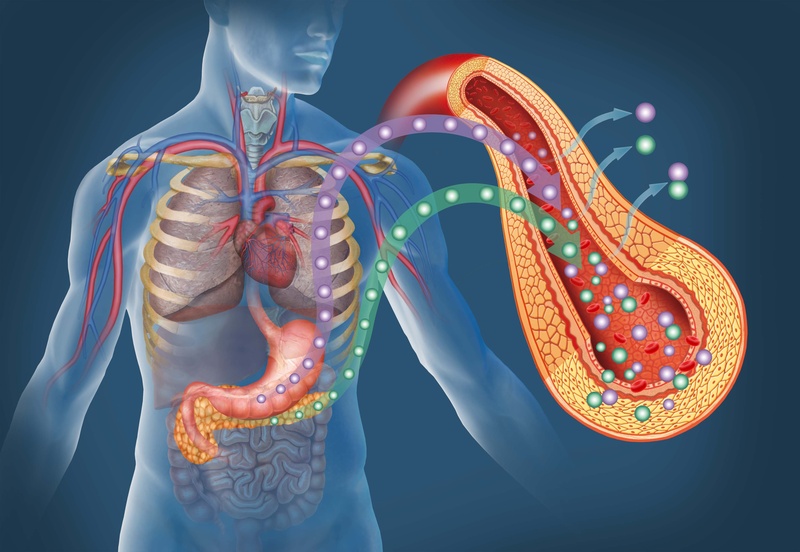 Insulin is needed by the body to absorb sugar, glucose, from the blood. Without that the sugar hangs around in the body. A lack of insulin secretion leads to type II diabetes. Fructose gets absorbed directly into the liver and can lead to a condition called “fatty liver”. High doses of fructose may actually create holes in the intestinal lining allowing gut bacteria to roam freely. HFCS can also contain mercury. Mercury is known to be a toxin in large doses. Pregnant women aren’t even allowed to fish due to exposure to mercury, yet it’s contained in HFCS. The mercury comes from the chlor-alkali products used in manufacturing. When you get to the proverbial root of what’s in your food, you will discover that it’s just not that good for you. What should you do with this information? Lastly, ask yourself why a food industry is so bent on convincing you a chemical compound is safe for you. By not buying foods that contain HFCS you’re voting with your dollars. At the end of the day the company is interested in profits. If they lose money, they’ll change to meet the demand. Keep yourself informed, a site I discovered is full of great information, www.drhyman.com.